According to Mill Creek Interim City Manager and Public Works Director, Tom Gathmann, a number of capital facilities projects will be completed in 2012. All of these Mill Creek transportation projects will be finished before winter sets in. 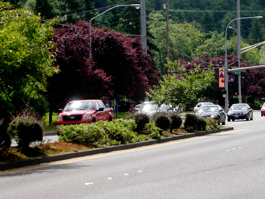 One of the projects involves removing the landscaped median strip on Bothell Everett Highway north of 164th Street SE in order to extend the left turn lane.